The Osthoff Resort, in Elkhart Lake, Wisconsin, is a premier AAA Four Diamond resort located on 500 ft of recreational lakefront. 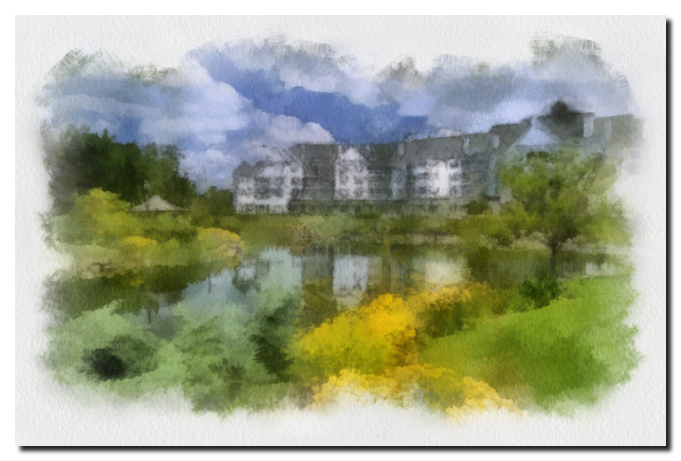 Offering a casual atmosphere within its’ elegant surroundings, The Osthoff Resort provides a romantic getaway for couples, while year-round indoor and outdoor activities, provide a family with many opportunities to enjoy spending time together. The Osthoff Resort is host of a wonderful weekend of dynamic performances by world-renowned jazz musicians including White Hot Summer Groove featuring Peter White and Euge Groove, Nick Colionne, Celebrating the Music of Grover Under the Direction of Jason Miles, Down to the Bone, Maysa, Jackiem Joyner, Matt Marshak and Marcell Guyton! The 10th annual Jazz on the Vine, May 11-13, 2012 celebrates Smooth Jazz and gives you the opportunity to sample an array of over 100 exotic wines from international and domestic vineyards and enjoy eclectic cuisine created by our award-winning Osthoff Chefs. Smooth Jazz and Wine is a delicate combination. 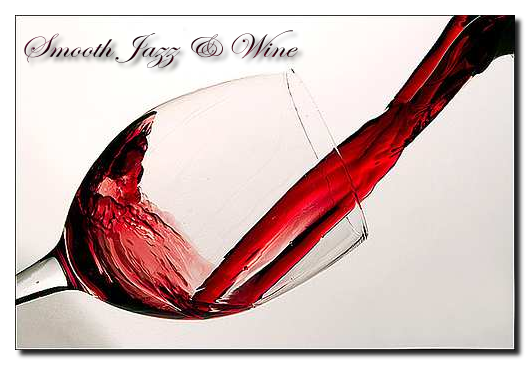 2012 will be the year with the most smooth jazz festivals combined with tastings of your favorite wines. To make your mouth water we inform you about the next festivals under the patronage of wine. The year starts with the New York City Winter Wine Fest on Saturday, February 04, 2012 at Best Buy Theater, 1515 Broadway at W 44th St, New York. This year, for your sipping and swaying pleasure they present “Nu Jazz” artists Four80East, performing in the final hour of each session (5-6pm / 10-11pm). The 7th Annual Wine & Jazz Festival will be held on February 17th. 18th and 19th 2012 with the main event on Saturday Feb 18th, 2012. The venue is Laishley Park, 100 West Retta Esplanade, Punta Gorda, Florida 33950. The Headliners are The Rippingtons, featuring Russ Freeman, Peter White & Mindi Abair. The 10th annual Jazz on the Vine will take place on May 11-13, 2012! At the Osthoff Resort, 101 Osthoff Ave, Elkhart Lake, Wisconsin 53020, you can attend a wonderful weekend of dynamic performances by world-renowned jazz musicians including White Hot Summer Groove featuring Peter White and Euge Groove, Nick Colionne, Celebrating the Music of Grover Under the Direction of Jason Miles, Down to the Bone, Maysa, Jackiem Joyner, Matt Marshak and Marcell Guyton! The Petrocelli Family strives to produce Long Island’s greatest wines, incorporating both New World advances and Old World traditions. Raphael Vineyards will continue their Jazz Series in 2012. Raphael Vineyards, 39390 NY 25, Peconic, New York will be anew the place of Smooth Jazz. We will inform you about artists and dates. Northeast Jazz & Wine Fest returns in 2012, July. The tradition continues for 2012, bringing great music, fun, food, and drink for the whole family to downtown Syracuse, gateway to summer fun for Upstate New York! Keystone Wine & Jazz Festival, River Run Village, Keystone, Colorado 80132 will be center of the wine world in July 2012. Relax in the beautiful backdrop of Copper Mountain as stars from Smooth Jazz and Fusion to Mainstream Jazz delight your senses. Known for its scenic splendor, internationally renowned talent and diverse wine selection, Genuine Jazz & Wine will not disappoint this summer. In addition to amazing live jazz music, sample some of the country’s best wines. Note this date for August 2012. The 15th Annual Vancouver Wine & Jazz Festival will present 200 wines from 20 wineries and great Northwest cuisine. Al Jarreau, Arturo Sandoval, Spyro Gyra, Diane Schuur, Stanley Jordan, The Dirty Dozen Brass Band, Bill Frisell, Coco Montoya and blues master John Hammond were the artists of last year. So 8th and Columbia Sts, Esther Short Park, Vancouver, Washington will be your place of choice in late August. Colorado will have his Colorado Mountain Wine Fest at Riverbend Park, 451 Pendleton St, Palisade, Colorado 81526 in September 2012. Also watch out for the the Lake Norman Wine Festival, which will be traditionally held in October, 2012. Over a dozen wineries are ready to present you fine wine. Come enjoy hand crafted wine from some of Sonoma County’s best boutique wineries, celebrity chef demos from Chefs Scott Tompkins of Skye, Eddie Matney from Eddie’s Place and more. Food venues from both, Sonoma and Arizona as well as over 100 lifestyle vendors. The 2012 Sonoma Showcase of Fine Wine Festival will be in November, 2012. If your Smooth Jazz Wine festival is not mentioned, inform us. We will be pleased to promote your personal event.